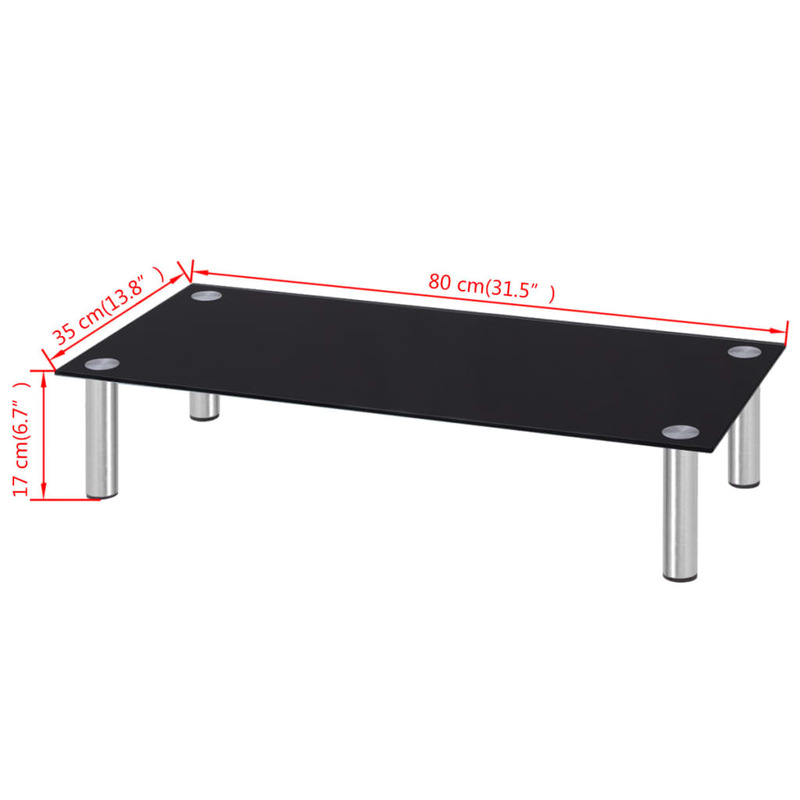 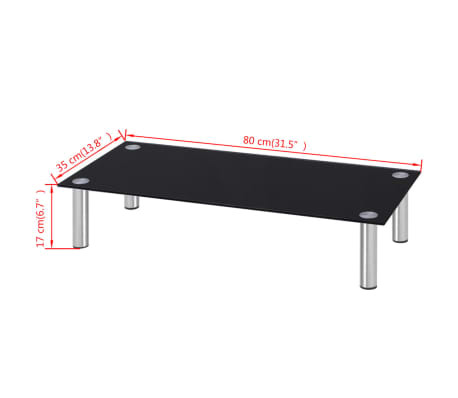 Ideal for use as a TV stand, monitor riser, LCD stand, etc. This practical TV stand has elegant, chrome-plated legs and a tempered glass tabletop. 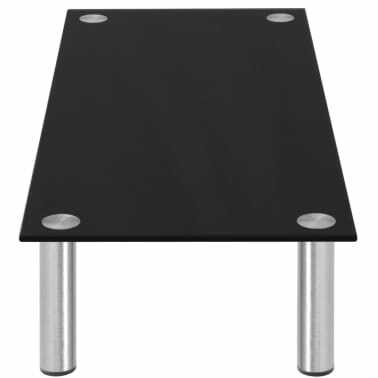 The sleek, streamlined design of this understated monitor riser will add a modern touch to your living space. 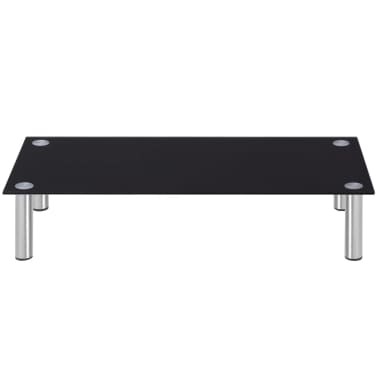 This glass shelf can be used as a TV stand or riser for your desktop monitor, television set, laptop and other multimedia devices. By raising your screen, the glass shelf will reduce the strain and discomfort on your neck or back. The space underneath can accommodate your DVD player, game console, streaming device, receivers, and media carriers. 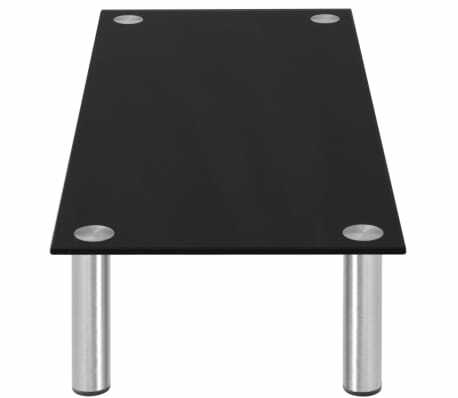 The steel legs make the LCD stand sturdy and stable, while the tabletop glass is tempered for added safety. 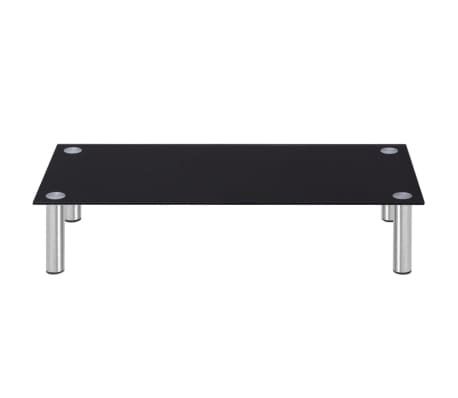 All surfaces are easy to clean with only a damp cloth. Assembly is really easy.